Hannah began racing at 10 years old in champ karts. 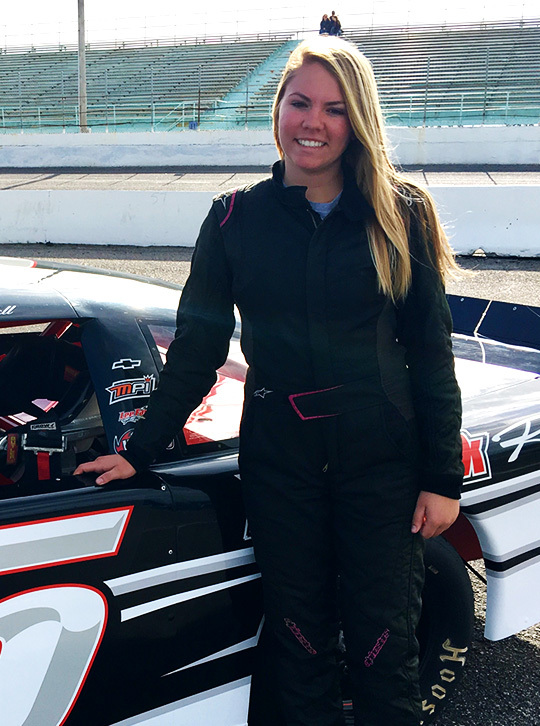 She raced for about a year and the moved to bandolaros starting as a beginner at charlotte motor speedway. After about a year as a beginner bandit, she moved to the outlaw division. While competing in the bandolaro Hannah compiled countless top 5 finishes as well as many 3rd place finishes. After finishing 3rd in the 2014 Summer shootout at Charlotte Motor Speedway Hannah made the move to Legend cars. While racing in the Semi-pro division, Hannah raced throughout the South running all different style of race tracks. But running the full schedules at Charlotte in the Summer Shootout and the Winter Heats, as well as the Thursday Thunder in Atlanta. Where she was able to add several more Top 3 finishes to her resume.